Home Technology Asus EFI BIOS: The first mouse-controlled BIOS ever! Asus EFI BIOS: The first mouse-controlled BIOS ever! To tell you, it was almost two weeks ago when our company had bought a new Asus desktop with P8P67 motherboard and i3 processor. Actually, I am not really surprise with its processor because we have even got an Intel i5 desktop. 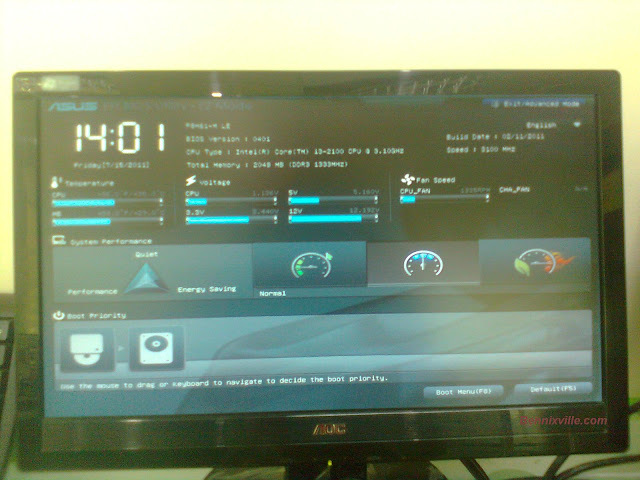 What makes me astonished is when I see the BIOS on it- the ASUS EFI BIOS. ASUS EFI BIOS is the first mouse-controlled BIOS in computing world, no more awkward complicated process like in the tradition-keyboard-only BIOS. The whole graphical interface is very awesome and looks like a 3D one. 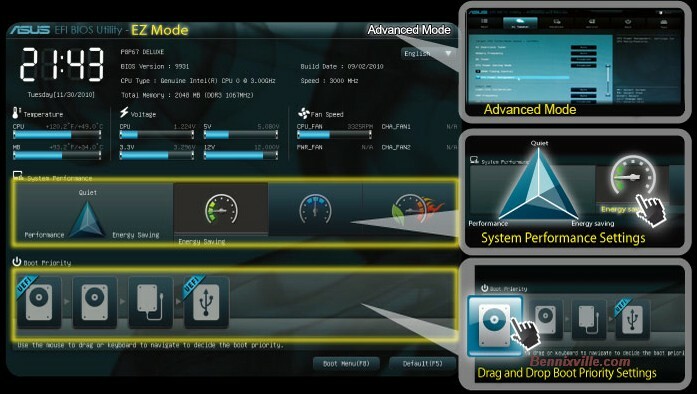 EFI BIOS is available on all P8P67, P8H67,P8H61 and P8Q67 ASUS motherboards. It adds compliment on the advancement of Intel core i3, i5 and i7 processors. Being a technical person I find this new EFI BIOS as impressive,and very user-friendly to all levels of users.Kudos ASUS!